The garage door spring is considered the backbone of your garage door system; without them “the springs” the system falls apart. 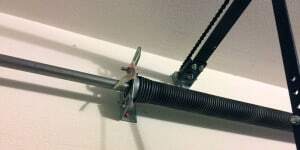 These high-tension springs assist the garage door opener in opening and closing the door, but they also support the garage door’s full weight. It’s not something you probably ever think about, but the door itself can be very heavy. A variety of problems can develop that involve this important component of your garage door system. Garage door springs are connected to the system with special hardware that is designed for use with tension springs. This hardware sometimes fails, especially after years of use; this is just normal wear and tear. The garage door spring itself can wear out, necessitating a replacement. The worst problem of all is when the garage door spring snaps. Complete garage door spring failure is an extremely dangerous situation. Remember, the spring supports the weight of the garage door. If the door is open when the spring fails, it’s going to close fast and with a lot of force. If you, your children or pets are in the wrong spot, this could cause serious injuries. Major damage to your vehicles or any other piece of equipment in the path of the door is also a result of this extreme failure. While these are scary examples of potential damage, the scariest is from the spring itself, not the door. Garage door springs are under extreme tension. When they break, that tension is released rapidly causing the pieces of spring to snap back in the direction in which they’re still attached to the system. The same type of snap back occurs when hardware fails, but there’s only one section of spring in that situation. Think back to the last time you broke a rubber band. Most likely, you got a pretty nasty sting when it snapped back and hit you. Now, imagine that happening with your garage door spring. It’s much larger and made of metal, but the principle is the same as that of the broken rubber band. Sadly, the damage can go far beyond a little sting. This is also the main reason we always advise hiring a professional to handle all door spring issues, from repair & replacement to new installations. The same risk is present if the spring breaks free during these procedures. Why risk your safety when we can handle it for you? Yet another reason to have us do the job is that most garage door makers won’t sell the necessary parts to DIYers due to the danger. Elite Door Systems works with most manufacturers and can get the right parts. Please don’t think that a trip to your local hardware store solves the problem. We guarantee that any parts you may buy there are not sufficient for such a job. You could end up spending far more in medical or property repair expenses than you would by hiring us. All of our technicians are trained experts capable of handling garage door spring repair safely. This is what we do. 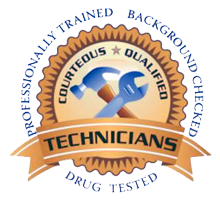 We have the proper tools, parts and most of all, experience to get the job done right. Our prices are highly competitive and our services are guaranteed. A great way to avoid catastrophic garage door spring failure is to call us for a garage door system Tune-up. We go over your system with a fine-toothed comb, making sure that all parts are in good working order. We also do any necessary preventative maintenance. One door Tune-up a year is all it takes to help keep your system going strong and avoiding higher cost replacements later.